The Diversified Woodcrafts Drafting Board Storage Cabinet can be used as a drawing board storage and a paper storage. It has 25 slots that can accommodate 20" x 26" boards and papers and each slot has a weight capacity of 2.5 lbs. 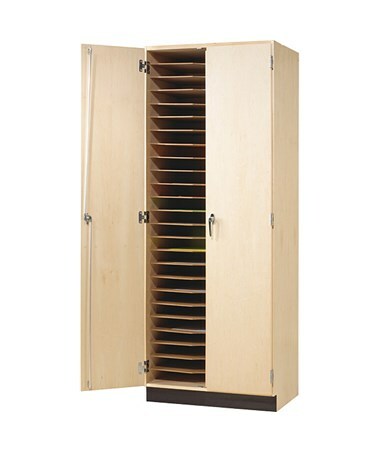 Ideal for the art room, this cabinet provides a safe place to store artwork, art projects, and supplies. 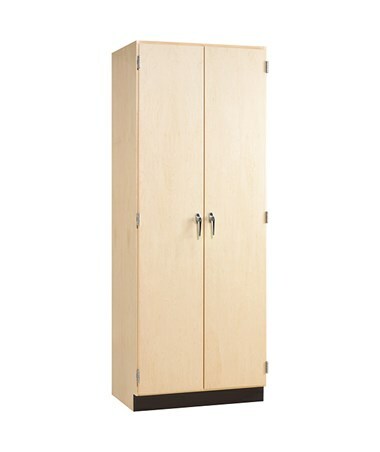 Featuring a double door that has 3-point locking handles the Diversified Woodcrafts Drafting Board Storage Cabinet keep stored materials protected from theft. Its solid maple and maple veneers construction makes it durable and guarantees a long time of use. To keep your cabinet scratch-proof and water-resistant it is finished with a chemical resistant and earth-friendly UV finish. 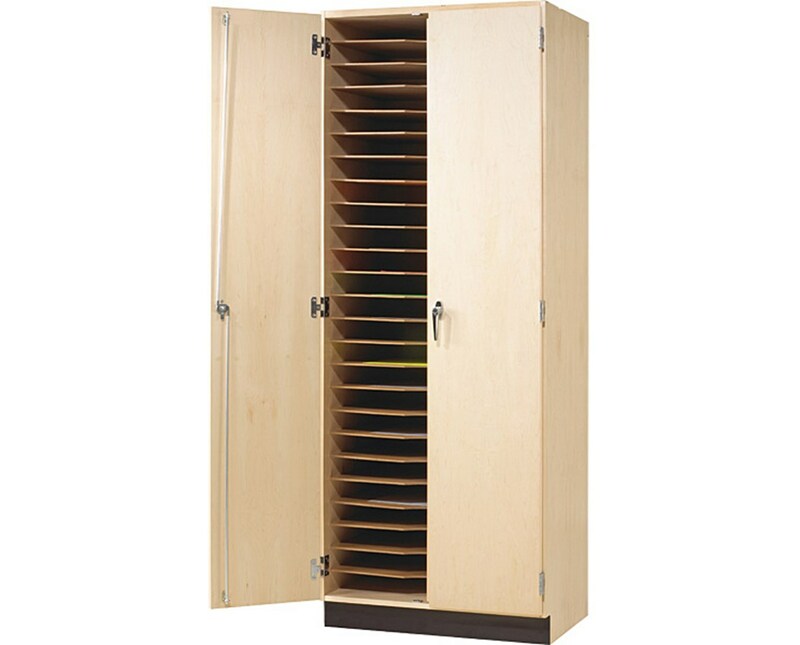 The Diversified Woodcrafts Drafting Board Storage Cabinet measures 32"W x 22" D x 84"H. It is made in the U.S.A. and is SEFA compliant and MAS Certified Green. It also comes with a limited lifetime warranty.